Virtual reality and 360° video are attractive to journalists because the product promises to put the audience right in the middle of news events and foreign destinations. Yet for immersive journalism, and immersive technologies in general, to reach their full potential, we must also put the audience at the center of the VR and 360° video production process. First things first: Please help me improve 360° video & VR storytelling by taking this short survey! A key challenge immersive journalists face is to adapt the mission at the heart of journalism, informing and serving the public, to VR and spherical videos, and do it in an engaging way. How can we be sure we communicate clear, organized information to the audience using these emerging technologies? There is currently no way of knowing, for instance, whether the nascent immersive storytelling grammar is disorienting the audience, or how to strike a balance between immersion and delivering facts, or how much information can 360/VR news consumers actually absorb through these media (is it more or less than with a traditional video report?). 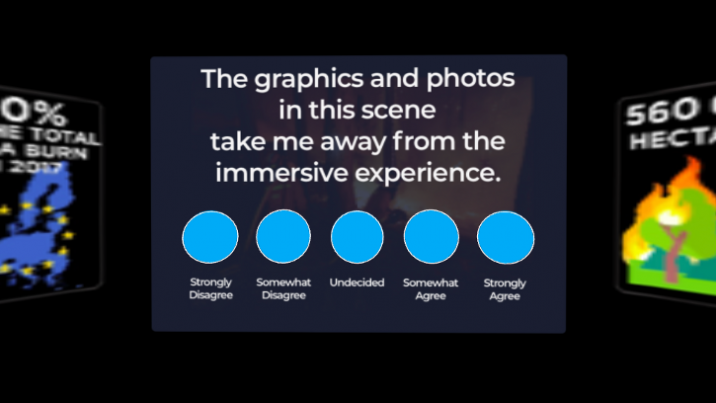 Gathering qualitative feedback can help design best practices for immersive storytelling. This is hindering the development of immersive journalism, and of VR and 360° video in general. The available quantitative metrics are limited, not consistent from one platform to the other, and even strongly contested. It is more challenging on the qualitative side, as comments from the audience, whether online and in-location, are few and far between. In addition, for resource-strapped journalists, testing one’s immersive story ahead of publication is a massive pain point. It is cumbersome due to the lack of dedicated tools, and it does not scale. All this makes it hard for immersive content creators to set up efficient feedback loops (whether they are pre- or post-publication) to learn from trial and error, iterate and improve. And consistently great content is key to engaging audiences and for the growth and sustainability of immersive journalism. This is why, as part of my residential fellowship at the Reynolds Journalism Institute, I have been focusing on what type of tool could fix this challenge. 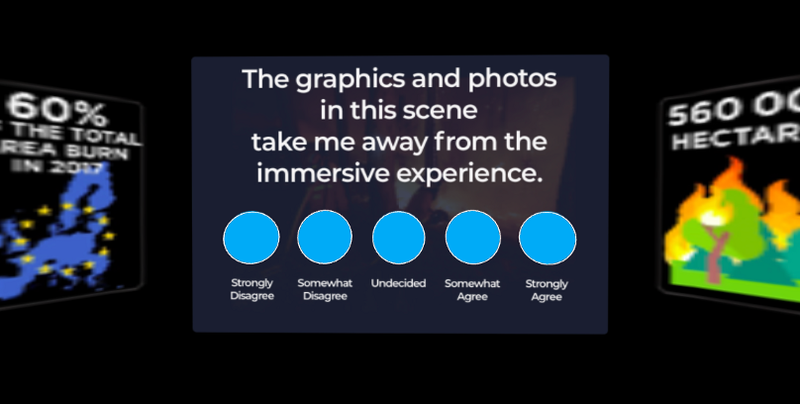 Ultimately, the goal of this tool is to provide evidence-based best practices for immersive storytelling by putting the audience at the center of the production process. The idea is that creators could submit content to a sample of users of their choosing (either directly or remotely), collect data on their reactions and behaviors, and amend the content based on findings presented in clear, actionable reports. The goal of this tool is to provide evidence-based best practices for immersive storytelling by putting the audience at the center of the production process. Think usability testing, but tailored and streamlined for 360°/VR content. While each report will be private, a public database of lessons and best practices for immersive storytelling may eventually be established, benefitting the entire industry. Similarly, in my RJI project, I want to make it easier to learn what audiences perceive, like and want when it comes to immersive storytelling, so we can stop relying on gut feelings and unstable data to inform our editorial decisions. Today, I need your help. Over the fall, as part of my fellowship I have conducted over 15 in-depth interviews with immersive journalists, content creators, CEOs and educators (if they are reading this: hi, and thank you again! ), nine men and seven women hailing from five countries on three continents. These discussions, as well as additional reading and the great team at the Information Experience Lab of the University of Missouri have helped me develop a short survey I would kindly ask you to fill out. Your answers will be key for the rest of my fellowship. Thank you very much for your time and your help. Comments? Questions? Want to connect ? Please send me a note: seymatt (at) rjionline (dot) org ! This article originally appeared on Thomas Seymat’s Mediulm blog and has been published here with permission. Thomas Seymat is a fellow at Reynolds Journalism Institute, focusing on audience in immersive content. He is also a Journalism 360 ambassador.